Beyond the Country Music Hall of Fame and the Grand Ole Opry, there are plenty of hidden gems to entice you. There may be a chill in the Minnesota air, but the warmth of the locals will always brighten your day! This artistic and commercial hub converges the best of each half of the United States in one eclectic destination. From exceptional live music venues to outdoor recreation—there are endless ways to 'keep Austin weird'! It's time to kiss the cold goodbye and head for warmer skies! St. Thomas offers a tropical refuge for anyone looking for a Caribbean getaway during the dreary winter months. Escape from the cold and enjoy Scottsdale's warm weather and sunshine! Experience the warm and welcoming culture of Limerick! There are few cities with more glitz, glamour and excitement than Las Vegas. Chicago is comprised of several neighborhoods that make up the unique cultural patchwork of the city. Puerto Rico is ready to enchant you! San Juan entices travelers from across the globe to explore this culturally rich tropical paradise. Long Island is a fascinating destination offering unique experiences and attractions for those seeking culture and excitement outside of the hustle and bustle of New York City. Toluca's picturesque setting, surrounded by peaceful mountains and alpine forests, lures travelers to this bustling suburb of Mexico City. Ideally situated in the eastern foothills of the Blue Ridge Mountains, Charlottesville offers a glimpse into the nation's past while looking toward the future. Milan is a city on the go. Italy's fashion and financial capital boasts exciting nightlife, unparalleled upscale shopping, and an array of cultural destinations. The melting pot of Los Angeles offers Hollywood glitz and glamour alongside an abundance of premier attractions and natural destinations. If you need an escape during the winter months, a trip to Santa Barbara will always be sunny. During the winter months, Manchester transforms into a snowy wonderland that plays host to outdoor activities of all varieties. As the weather cools down, visitors flock to the Asheville region to see the trees change to brilliant hues of red, yellow and orange in one of the country's longest and most vibrant fall color seasons. Situated on the southern tip of Onondaga Lake, Syracuse offers big-city amenities with a small-town feel. Travelers to Singapore soon discover that this vibrant city offers more than just high-end shopping malls, luxury hotels, and fine dining. Over the years, Seattle has undergone an astonishing transformation into a city rich in culture, commerce, and natural beauty. In a city as magical as Venice, it's easy to lose yourself. The winding streets and corridors beg to be explored, and hidden squares seem to pop up in the most unexpected places. Enjoy the long, lazy days of summer in the City of Lights. There is much to love about Paris in the summertime. 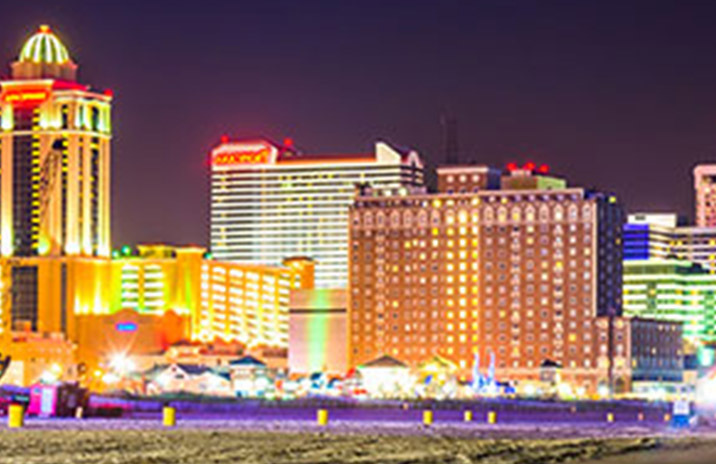 The summer is a wonderful time to visit Atlantic City, and May at the Jersey Shore offers idyllic weather, low humidity and countless options for fun in the sun. London is comprised of an eclectic group of neighborhoods - each lending its own unique and distinct character to the city. Just 2 miles apart at their closest point, these picturesque sister islands display an array of wonders — lush mountain rain forests, unspoiled beaches, historic ruins and long-dormant volcanoes. With the winter's welcome wearing thin, February is the perfect time to head to Sunshine State. It may be chilly at home, but it's always hot in Panama! 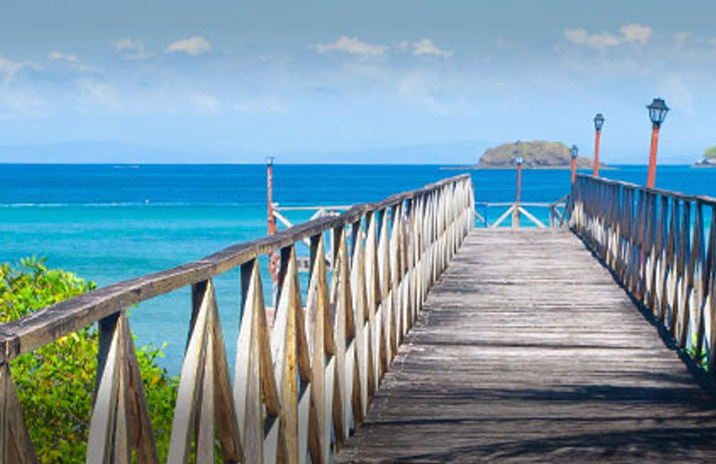 Visiting in January puts you right in the heart of Panama's dry season, making it the perfect time for seaside activities, outdoor excursions and exploration. Hawaii Island is the youngest and largest island in the Hawaiian chain, famous for active volcanoes, golf courses, scenic coastlines and endless natural wonders. Food and festivities are at the heart of New Orleans culture, and Thanksgiving is a great time to join in the celebration. As the birthplace of the legendary "turducken," New Orleans has always put a unique and decadent spin on the holiday. Autumn is the perfect time to explore New York City's best haunts. 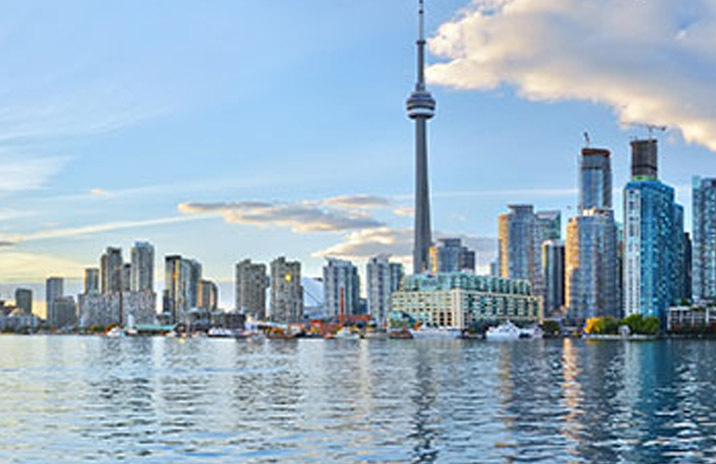 Toronto is a unique and vibrant city, making it the perfect destination for business or recreation. Canada's largest city is host to a multiculturally diverse population, with over 140 languages spoken within its city limits. This summer, you'll find a bevy of activities and events to enjoy in Cleveland. As one of the most walkable cities in the country, exploring the local attractions is fun and easy for all ages. Make your summer memorable with a trip to the oldest town in California. Nice first became a desirable vacation destination in the late 18th century, when the city's charming architecture and vibrant marketplaces attracted artists and world travelers alike. 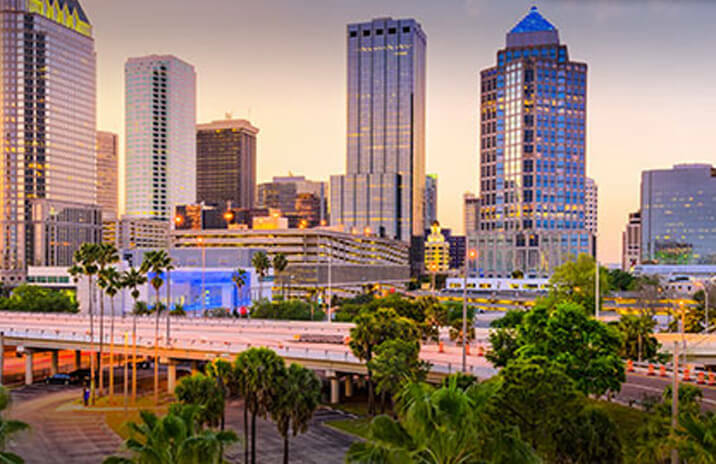 St. Petersburg, Florida is your ideal winter getaway, with its pedestrian-friendly downtown featuring seven miles of beautifully preserved waterfront parks, gorgeous skyscrapers and top-notch restaurants and shops. San Jose is much more than just a Silicon Valley technology hub; Here, Spanish history and 19-century charm blend seamlessly with modern innovation and architecture. During the holiday season, Boston shines with spectacles sure to please the senses. Vienna’s rich Roman history is alive and well within the city’s architectural gems, including baroque castles and gardens, grand buildings, monuments and parks. Welcome to Milwaukee! Also known as "Brew City," Milwaukee is the home of Miller Brewing Company and the host of one of the best Octoberfest celebrations in the US. An ancient legend says the city was created by Hercules. Others say (perhaps more accurately) that it was founded by Hamilcar Barca, the father of Hannibal. Either way, Barcelona remains a cultural and economic center that attracts millions of tourists each year. No introductions are needed for London. As one of the most important cities in the world, it is a financial capital, cultural center and historic goldmine all rolled into one bustling metropolis. A place that has changed hands as many times as Heraklion is bound to be riddled with history. Though not as famous as Los Angeles or San Francisco, Fresno is the 34th largest city in the US. Founded during the California Gold Rush, Fresno means "ash tree" in Spanish. It is the gateway to the "Inland Empire," which is responsible for much of the produce in the nation. Did you know that Birmingham was the birthplace of heavy metal music? Or that it has been hailed as the first manufacturing town in the world? Or that humans have been in the area for over 500,000 years? There are many secrets to discover in England's "Second City," a title Mancunians might actively contest. Fort Lauderdale is one of the most popular vacation spots in the US. And with temperatures never getting below 65 degrees, it is easy to see why some 13 million tourists visit the city each year. Located in the Pacific Northwest near the U.S. and Canadian border, Vancouver is consistently ranked among the most livable cities on the planet, and you can find out why by taking a trip to this growing seaport with a surprisingly mild climate – even in winter. 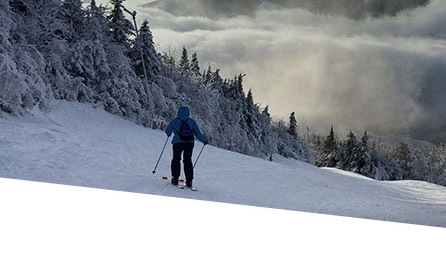 As temperatures drop, why not consider a getaway to a more hospitable climate this winter? The Turks and Caicos Islands (also known as TCI) are one of the fastest growing destinations for fun and sun. 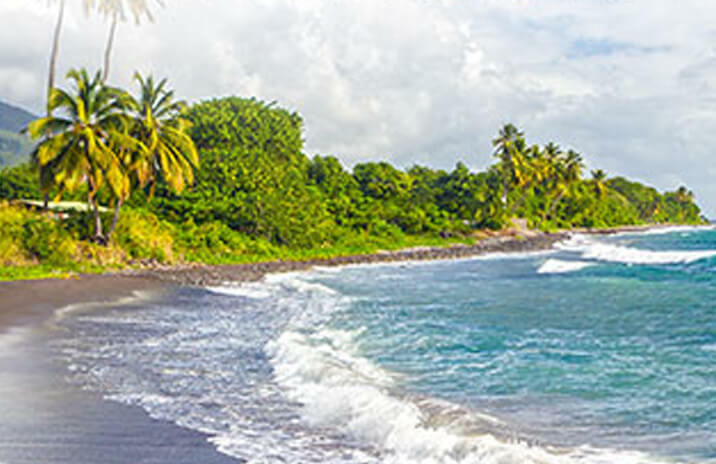 This relatively new Caribbean vacation paradise offers numerous resorts and hotels for a quick getaway, a lengthy stay or whatever you have in mind. Few places can top the holidays in Antigua, a locale that's home to warm weather, stunning beaches and total relaxation. Now Signature Flight Support is calling Antigua home, as the Antigua V.C. Bird International Airport (ANU) is one of the newest locations in our growing FBO network. Take a deep breath and inhale the crisp fall air of November. With Thanksgiving coming up and the beginning of the holidays almost upon us, there's no place better to take in the splendor of the season than New York City. There's always so much happening in Orlando year-round. But right now it's fall and that means it's time for NBAA 2014. Looking for a taste of the good life? Then there's no place better then California's Sonoma Valley. "Slow-noma", as locals call it, is a relaxing destination known for its breathtaking ocean and countryside views along with a lush landscape right in the heart of Northern California's wine country. Planning on becoming President someday? Then Iowa's capital city of Des Moines should be your first stop! But if your higher office aspirations are on hold, this Midwestern gem should still be first on the list of places to visit. The Music City has come a long way since its humble country song beginnings. When flying into Brazil's capital city of Brasília, the first thing arriving visitors will notice from above is the unique landscape of this modern metropolis, distinctively shaped like an airplane. The city's aviation imagery is also symbolic, a testament to Brasília's soaring global ambitions. This June, the world's eyes will be on Brasília, a host city to one of the most exciting sport spectacles on the planet: the FIFA World Cup. Minneapolis is legendary for its charm and welcoming hospitality, so it's no surprise that Signature's Minneapolis-St. Paul International Airport location took first place in Pro Pilot magazine's 2014 PRASE survey, which ranks the nation's best FBO's. Kissimmee is right in the middle of all the activities and attractions that Central Florida has to offer, just 20 minutes away from Disney World and about 30 minutes from downtown Orlando. Where better to be on St. Patrick's Day than Dublin, a city bursting with optimism, energy and rich history. One thing travelers will discover right away is Dublin's welcoming nature, where locals love to share stories of the city's past. Walk down fabled O'Connell Street and a friendly face will recall the history of the General Post Office, where the markings from battles past still remain on the facade. Hankering for live Irish music? Check out Temple Bar, where the pubs are always packed and the Celtic classics are sung until the wee hours. Nestled in California's San Fernando Valley, Van Nuys is a youthful, vibrant Los Angeles enclave that exemplifies the sun-soaked culture of Southern California. Located along Florida's Gold Coast, Boca Raton is an inviting, palm tree-lined locale where leisure is a way of life. Featuring some of the Sunshine State's most elegant hotels, spas and restaurants, "Boca" is a great place to kick back, unwind and relax in the sun. Located where the Great Plains end and the Rocky Mountains begin, Denver is truly one of America's most beautiful cities. There's a lot to love about Rio de Janeiro. A vibrant coastal city famous for its sun soaked culture and non-stop nightlife, Rio attracts travelers from every corner of the globe. They say everything's big in Texas, and Austin is no exception. Located deep in the heart of the Lone Star State, this funky college town of more than 820,000 people is home to a diverse population, vibrant economy and the Texas State Capitol. Many consider Forth Worth a little sister to its larger neighbor Dallas, but visitors to Fort Worth will enjoy a city rich in heritage and a gateway to the American Southwest. Chicago is a busy place all year-round. Just ask any of the 46 million people who visited here in 2012. And while things may slow down a bit in August, there is still plenty to do in America's third most populous city, home to 2.7 million people. Green Bay is an industrial city with a tightknit community located in northeast Wisconsin next to Lake Michigan. 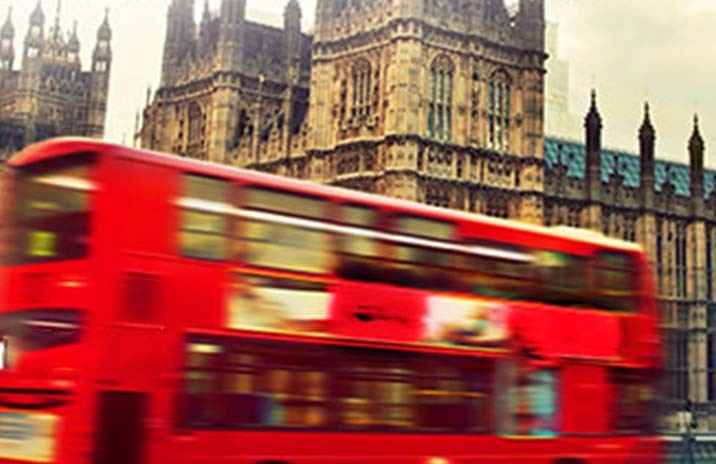 Truly one of the world's most exciting and dynamic cities, London is equally well known for its arts, fashion, entertainment and commerce; it is also one of the world's leading financial centers. Edmonton, the capital of the Canadian province of Alberta, is a cultural, governmental and educational center. It is known as Canada's Festival City, with over 30 annual gatherings, including North America's largest alternative theatre event. Atlanta is the cultural and economic epicenter and capital city of Georgia. As a national center for the arts, this upbeat city is home to some of the country's major performing arts disciplines. Free-flowing green, purple and gold in wintertime can only mean one thing - it's Mardi Gras in New Orleans, America's best party city. During the holidays it is a great time to visit New York City. With its bustling streets, whether you're looking for window shopping or to watch the ball drop, the city offers some of the most exciting joys of the holiday season. The desert city of Palm Springs is an ideal location for outdoor activities – from hiking up canyons to hitting the links. Nicknamed the "Gateway City", Newark is one of the country's major transportation hubs with plenty of options in air, shipping and rail centers. Berlin is right in the heart of continental Europe. Germany's capital is creative and vibrant, and is well known for its festivals, diverse architecture, nightlife, contemporary arts, efficient public transportation networks and high quality of living. Omaha has been recognized as the number one "Best Bang-For-The Buck City" on the Forbes list. Originally one of the most important cities in the Roman Empire, Frankfurt Am Main, commonly known as Frankfurt, has lost none of its grandeur. Known as the Entertainment Capital of the World. 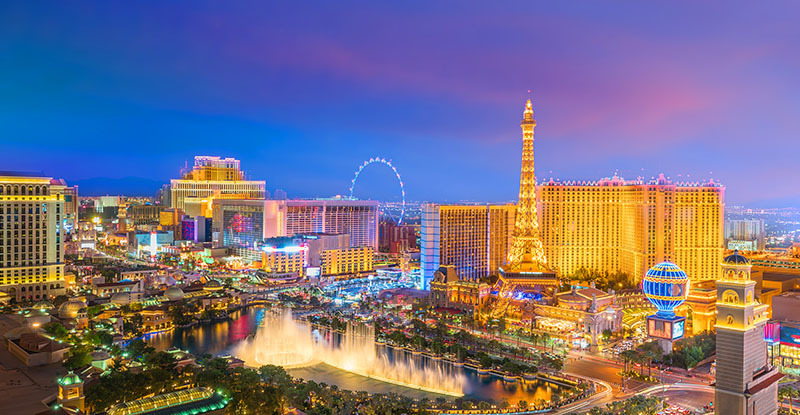 Vegas offers some of the largest, most incredible attractions you'll find anywhere, all designed to get your attention. Whether you have visited London before or not, the city will always overwhelm you by its size (the largest city in Europe) and wealth of things to see and do. 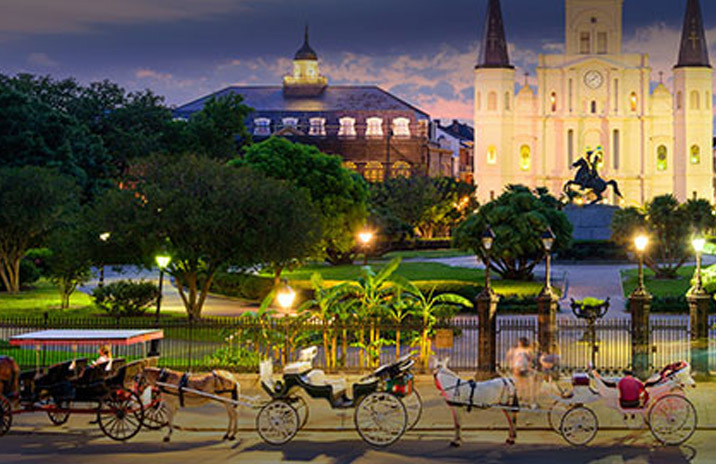 Mobile was described by National Geographic Traveler as being "one of the top 50 places to live and stay" in the U.S. The literal translation of "Boca Raton" is "Mouth of The Mouse" ("mouse" in Spanish is "ratón"), derived, so legend has it, from the shape of an inlet in the Biscayne Bay area of Miami, used most probably by pirates in the 18th century. Munich is ranked as one of top ten best cities to live in the world. It has the sophistication of a big-city but on a smaller and much friendlier scale. Morristown offers a wide range of amenities, historic attractions and museums. Today it is the second-busiest general aviation airport in New Jersey and acts as a gateway to New York City situated only 27 miles / 43 kilometers away. São Paulo is largest, richest and most populous city in the Southern hemisphere and one of the world's most dynamic urban centres, playing host to cutting edge art, music and fashion. Washington D.C. is truly breathtaking at this time of year. Spring has sprung and everything is lush and in bloom. Bozeman is located in Gallatin County, home to Yellowstone National Park and Montana State University. San Francisco is the 12th most populated city of the US and 2nd most densely populated after New York. Founded in 1841, Dallas is Texas' third-largest city and it is home to several Fortune 500 companies. Known as Canada's second-largest city and the largest city in Quebec in terms of land area, demography and GDP, Montreal is considered an important center of commerce, finance, industry, technology, culture and world affairs. Cardiff is the capital, largest city and main commercial center of Wales. Caerdydd, as the Welsh call it, is undergoing a major redevelopment and was, in 2009, presented the European City Of Sport award. Situated in the valley of the Meuse River, not far from Belgium's borders with the Netherlands and Germany, Liege is the economic and cultural center of the country's French-speaking Walloon region. A visit to America's famed Windy City yields innumerable pleasures to include nearly 200 art galleries, 552 parks, 15 miles of bathing beaches and deep dish Chicago-style pizza... in no particular order. Scotland has maintained a strong national identity over the last three centuries, even though it became part of the United Kingdom in 1707. The District of Columbia, Washington, DC, is the US capital, home to the White House, Capitol, Kennedy Center, Smithsonian and much more. A quintessential Midwestern city, Indianapolis is Indiana's state capitol and home to one of the most popular racecar events in the US, the Indianapolis 500®.